Wondering what to do in Vegas? Are there things to do in Las Vegas besides gamble? Glad you asked. Las Vegas is not a destination I would normally seek out. I’m not a gambler and the big crowds and casino chaos is a bit much. But we all find ourselves in Vegas; be it for a convention, wedding or traveling with friends who enjoy the city. I’ve been four times and recommend these five great things to do in Las Vegas besides gamble. No doubt, there is lots to love about Vegas and it’s a favorite destination of many. I’m not bashing it. The food and shows are tops in the world. The themed Vegas properties are like nothing else I’ve ever seen. Where else can you visit ancient Rome, Paris, New York and Venice all in one day? I’ll leave these favorites lists to someone else, because that topic is well covered. Vegas for those who don't like crowds: Check out the Strip by day. It's a ghost town. Las Vegas Blvd. 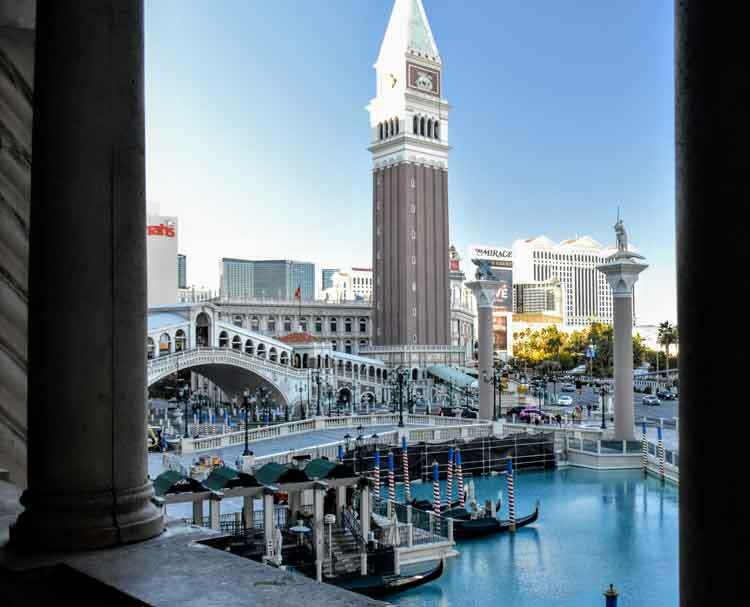 – the famous Las Vegas Strip – dazzles at night with dancing fountains, renegade pirates, volcanoes and neon lights. It’s a must do as a Vegas newbie. I’ve checked that block and now prefer The Strip by day. Much less crowded. If you go early, you will be shocked to have the Strip practically to yourself. Las Vegas is a city that thrives at night and starts the day slowly. My last time there was in January. I did mornings on The Strip or nearby downtown, then headed to local public lands for hiking as the day warmed up. Wear comfy shoes and be prepared for some walking! Google Maps says it’s five miles to walk the strip end to end. I did half the Strip one day and half the next. Allow time to explore all the themed resorts. That’s the fun of walking the Strip. The properties are huge. Walking the length of Caesars Palace alone seems like several blocks. I Googled Caesars when I got home and discovered it has 4,000 rooms in six towers, plus a massive convention center and 636,000-square-foot shopping mall. You can also walk the Strip one direction and return by cab, bus or monorail. Unique things to do in Las Vegas definitely include renewing your vows ... with Elvis in attendance! How celebrate your anniversary? B and Thorny renewed our wedding vows with Elvis. 2. What to do in Vegas besides gamble? Get married, again, with Elvis! I mentioned earlier that we visited Vegas with B’s family several years ago. In celebration of our 30th wedding anniversary, we renewed our vows at Graceland Wedding Chapel. Yup, that’s the same place Bon Jovi got married (I know you were wondering). 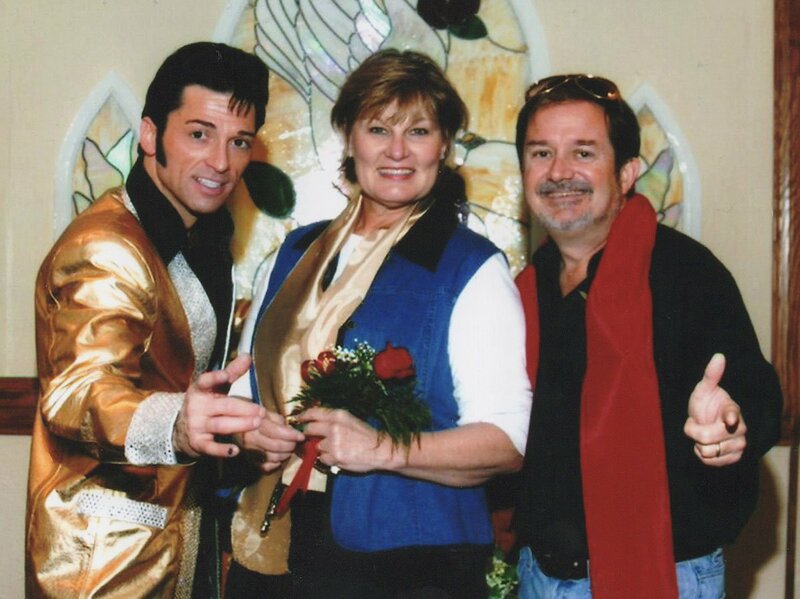 They’ve been doing Elvis weddings since 1977 and claim to be world’s first. 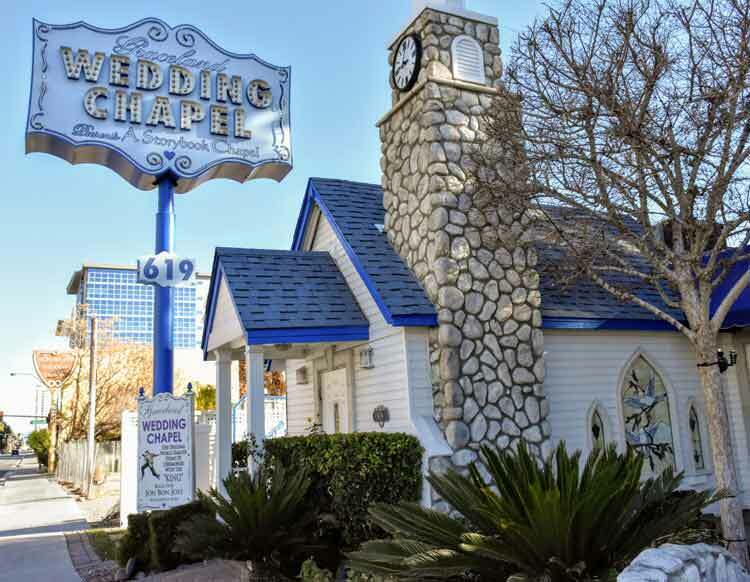 Present day Las Vegas has too many Elvis wedding venues to count. For $199, we had use of the wedding chapel; Elvis escorting B down the aisle and performing two songs (“Can’t Help Falling in Love” and “Love Me Tender” as I recall); a wedding renewal certificate (plus a bonus copy of Elvis and Priscilla’s wedding certificate); and photos. It was so much fun getting remarried with B’s brothers, their wives, nieces and nephews in attendance. B gave out Elvis sunglasses and scarves as mementos for our guests. Elvis hung around after the ceremony to pose in our wedding photos. Graceland’s weddings also include complimentary limousine transport, so you and your guests arrive in style. The chapel is cute, but the surrounding area is not as refined as the Strip, just for disclosure. After the wedding, you’ll need to clear out of the chapel and celebrate in the outdoor courtyard because Graceland Wedding Chapel is quite popular and hosts many ceremonies daily from 9 a.m. to 11 p.m. The Neon Museum is a great break from The Strip. Today’s Las Vegas bears little resemblance to the city’s early years. Beginning in 1990, mega resorts began crowding out the small hotels, casinos, bars and restaurants and with them, their neon signs. 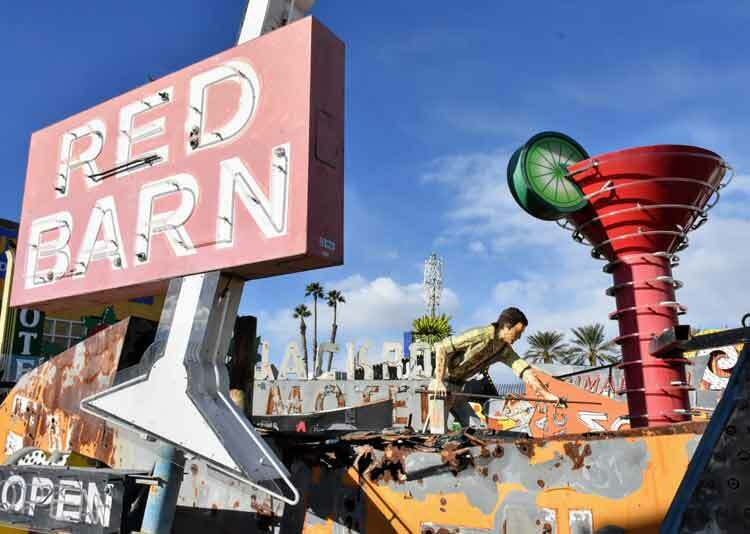 Luckily, The Neon Museum sprang up in 1996 with the support of public and private money and began collecting these signs that trace the history of Las Vegas. The resulting 200-plus neon sign collection is the delight of nostalgia buffs and those seeking a truly unique experience. Visit the museum at night when the neon signs are lit. 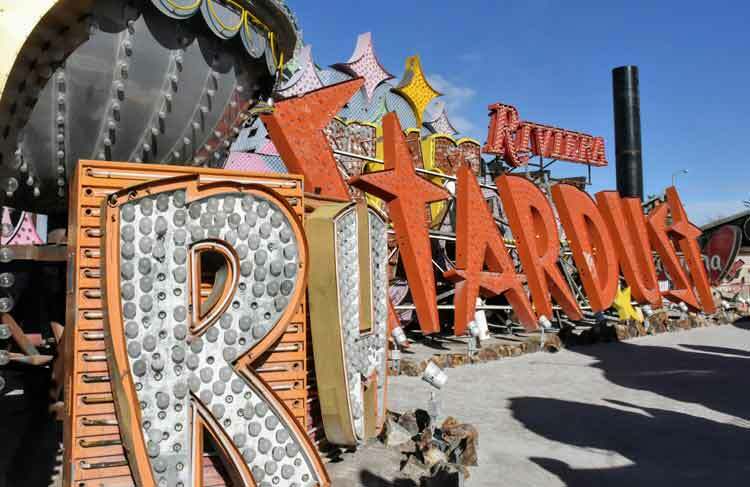 Signs have been meticulously restored to working condition and put on a dazzling show at night. I failed to research this in advance, and not realizing the signs were powered, stumbled in during daylight hours. It was still impressive but I missed seeing the neon as it was intended, alight against the night sky. Take a guided tour. I could give the same advice about most things done for the first time. While the museum staff were super helpful and informed, a guided tour would have illuminated (pun intended) many more nuggets of history and enhanced the experience. Night tours do sell out, so buy tickets in advance. Unique things to do in Las Vegas include gambling for the non-gambler. I know, I just professed not being a gambler. But I’ve had two fun experiences that qualify as unique Vegas things to do. Once we found ourselves at New York-New York Resort & Casino with B’s family on a Sunday morning with the casino so quiet you could hear crickets (and slot machines). We asked a bored looking blackjack dealer if he would take in four dudes who knew frighteningly little about the game. He graciously agreed. For a $100 “investment” each, we played for 2.5 hours ($5 per hand), enjoyed free adult beverages and learned a LOT about blackjack strategy. At the end, two of us were broke and two were up nicely. To keep it family-friendly, we split the money and all ended up with close to our original $100. 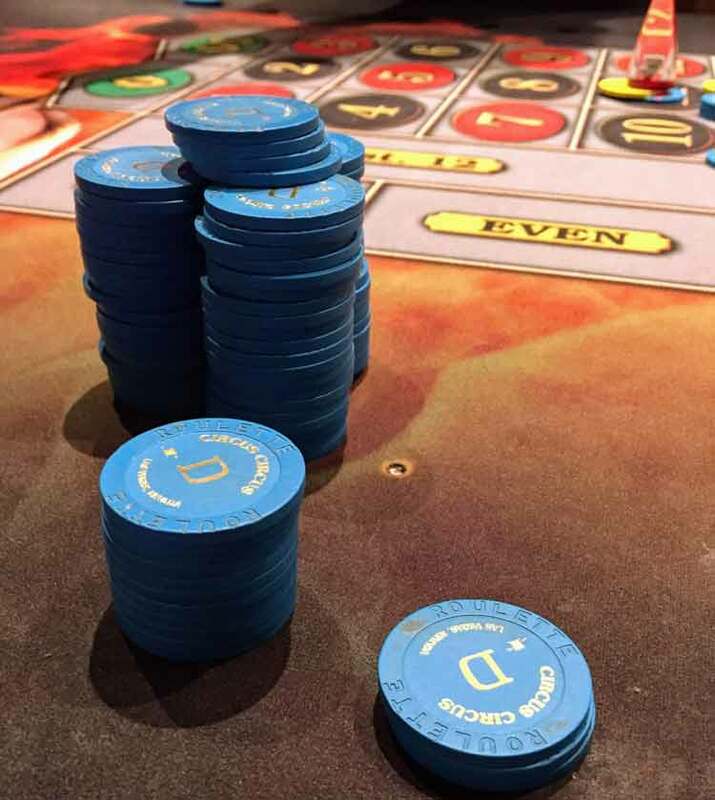 My second time gambling in Las Vegas was roulette at $1 per chip. Roulette is NOT a game of skill, rather a game of luck. If you’re a newbie, it’s easy to learn the different ways to wager. I plunked down $50 and enjoyed two hours of fun and free drinks, including three 35:1 payouts (the highest). Or maybe the slot machine is your game. Just set a firm, reasonable budget and treat it as an entertainment expense – like drinks or a show. Looking for things to do around Las Vegas besides gambling? Visit Valley of Fire State Park. Valley of Fire State Park. 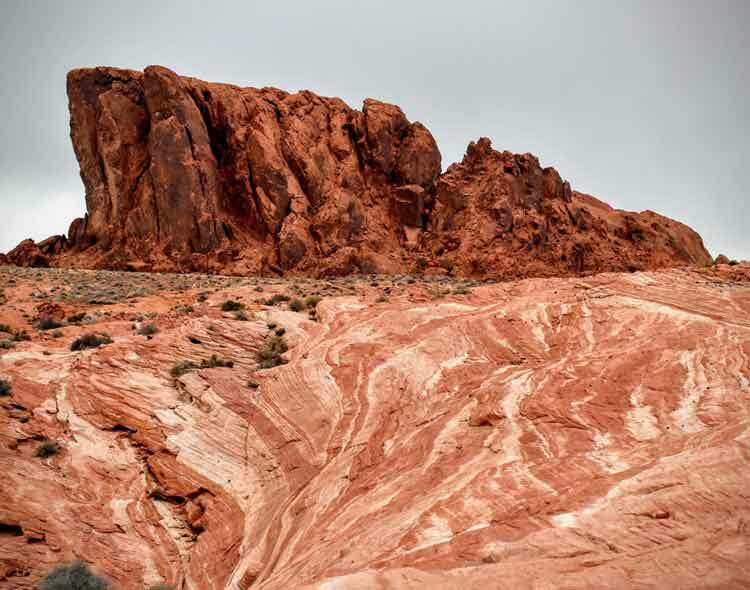 One hour northeast of Las Vegas is Valley of Fire State Park – 40,000 acres dominated by magnificent red sandstone formations created from dunes during the age of dinosaurs. Some 17 miles of scenic road wind through the park, making most major features accessible from parking lots and pull-outs. There are some awesome short hikes. Allow 1-2 hours each. I did Mouse’s Tank, Fire Wave (my favorite) and White Domes. The payoff of Fire Wave is the halfway point, where orange and white stripe slickrock appear in alternate bands, twisted into beautiful formations by eons of geologic forces. I waited there about 20 minutes hoping people would get off the spiral domes which dot the Fire Wave basin so I could get a lovely photo. They did not leave, so I did. Returning home, I read that the area is extremely fragile and visitors are to avoid the formations. So sad that people disrespect our public lands with their selfish behavior. Not only do they ruin the view for everyone else, they threaten the survival of these precious landmarks. 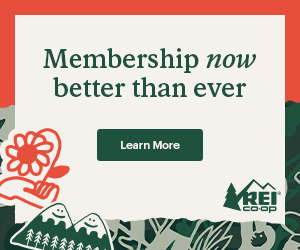 Red Rock Canyon National Conservation Area is the best-known public land close to Vegas, a mere 30 minutes west of the city and a popular playground for residents and visitors alike. A true multi-use park, Red Rock Canyon visitors experience great hiking, rock climbing, biking, horseback riding and off-road driving. 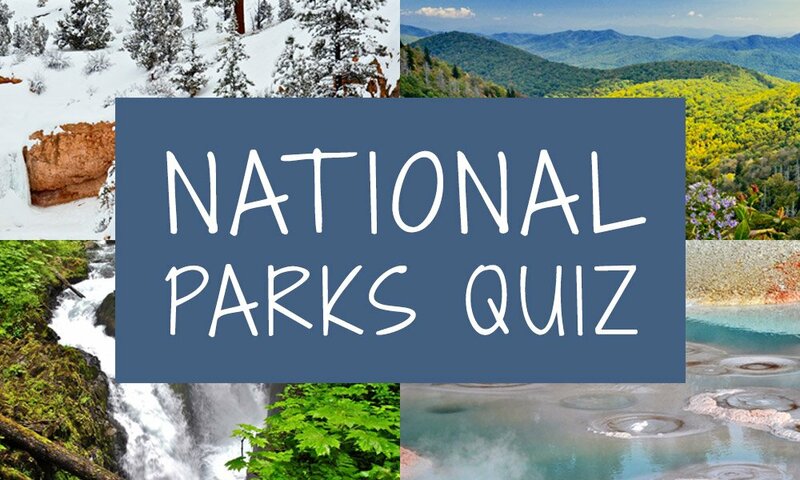 Its red sandstone formations give the park its name. Though formed similarly from ancient sand dunes, Red Rock is different than Valley of Fire in many ways. I entered via the Scenic Drive, a 13-mile, one-way drive that includes 20-plus hiking trails rated easy, moderate or strenuous. I opted to hike Calico Hills and Calico Tanks, each classified as 2 hour hikes by the park service. Photos cannot truly capture the beauty of this park. Hope these tips help next time you need things to do in Las Vegas besides gamble. Valley of Fire and Red Rocks are worth adding extra days to your trip if that’s an option. I visited both as an extension of a trip to nearby Death Valley National Park.